If shoveling were sport, we would be competing in the “Snowbowl.” But as boxing is a better metaphor, how about, “The Battle of Beantown,” “The Rumble in Bahston,” or “The Thrilla in Dunkin Villa”? For weeks now, You’ve been pummeling us with snow, wind, cold and ice. We’ve staggered a few times with wobbly knees, sore arms and aching backs. A couple of times we’ve barely escaped getting knocked out, saved only by the bell ending another round of snow. Beginning today, we fight back! The sequel: Revenge of the Snow People! First, we need to set the proper mood. Dig out your swimsuits and sunscreen. Wear white. (Yes, I know it’s not Memorial Day yet, but desperate times call for desperate measures.) Don’t forget the straw hats, visors and baseball caps. Ladies, put on your white cotton gloves and pastel colors. Well, okay, forget the gloves and pastels, but find those sandals. 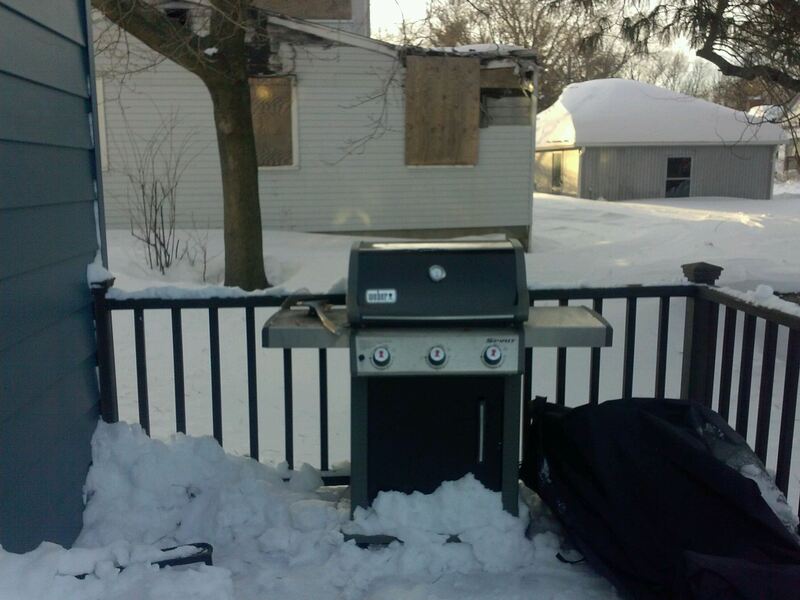 Shovel off your deck and start grilling. Eat key lime pie while blasting Jimmy Buffett from your speakers. Don’t forget the pink flamingos. No more sanding the sidewalk – just put the snow in a big pile, make a small beach and build a sand castle. Drink lemonade. Make mojitos. And put those little drink umbrellas in everything! Paint the top of the snow black. White reflects light and heat, but dark colors absorb it. The snow will melt faster than the Wicked Witch of the West. Guess what? It’s 4:00 a.m., it’s snowing again, and I’m outside. Thank God! I have a multiple-week streak of daily shoveling going and was afraid it would end. This may be my best chance to get into the Guinness Book of World Records. There are officially two categories in the book: pro and amateur. Technically I’m an amateur, but I don’t think the term is appropriate in this case. “Amateur” derives from Latin and means “one who does it for the love.” I think we need to develop a third category referring to necessity. I’m sacrificing my parking spot in the driveway. I’m considering a mess of helium balloons to tether the car above the snow but I’ll probably just play “musical cars.” There just isn’t any more space. 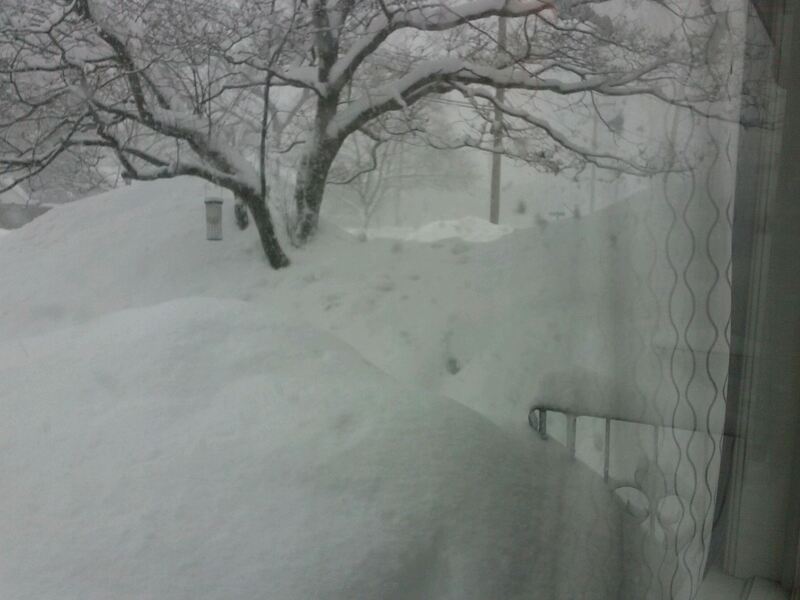 Boston received five and a half five inches of snow through January 22nd. Since then, in 23 days, 84 more inches have fallen. A normal winter has about half that much snow. Yesterday, for the fifth time, I removed the peaks of the snow piles at the foot of the driveway to about 4 and a half feet. All I can say is… They’re B-a-c-k! The snow piles are over 7 feet right now, and growing. The taller mountains in the yard are so high that you need to wear supplemental oxygen when climbing them. This Spring, my yard is going to look like the summit of Mt. Everest with empty canisters all over the place. After removing the peaks with my wheelbarrow, I washed clothes by hand. Yes. I am building the helicopter, using parts from the washer and dryer. (See prior blog posts.) As it took an hour to drive 3/4 of a mile, the chopper will free up a lot of time, for shoveling. The local hardware store was packed yesterday. Unlike the big box stores which already showcase spring equipment, winter items are still available locally. Well, they were. There was a run on “ice melt,” the shovels are sold-out, and the bin with the grips for your boots had 1 pair left (men – size 15). Fortunately they had a chain saw (more on this below). I considered buying salt but I don’t want to screw up the environment any more than necessary. Wandering through the aisles, it hit me. I ran over to the electrical department and bought every foot of wire they had. I stopped at the auto parts store and picked up a couple car batteries. Last night I stripped about five miles of insulation off the wire. My dog is outside running around in a back and forth pattern, having the time of her life, pulling wire from a spool. She’s pretty fast and as soon as she’s done and back in the house, I’m going to hook up the wire to the batteries. (Safety Note: if you walk by our house today, please wear rubber boots.) Let the melting begin! Years ago, I learned how to cut trees and got reasonably facile in having the trees (usually) fall in the intended direction. As the battery power is limited, I’ve decided to cut down the trees in our front yard and set them on fire. Hopefully they will fall in the direction of the sidewalk and driveway. Ha! With all that melting, I’ll be able to see one of my neighbor’s houses in no time! After the trees burn out, I can toss some furniture on the embers. I got the idea from La Bohème. But don’t worry — there are piles of rubber insulation in the house and they are comfortable to sit and lie on. I soon may be able to see out my windows! Back after a couple hours. Huge miscalculation. HUGE. I cut the first tree but the snow is so deep, it’s holding the tree upright. And the electrical approach didn’t quite work as intended. From the window, my dog and I witnessed one major league spark (okay, explosion). The dog had run around the fire hydrant a few times and I think the metal hydrant caused a short circuit. However, the area around the hydrant is totally clear and the five-foot hole in the ground should fill up with snow quickly. My dog is sitting at the kitchen table, pawing the keys on my laptop and has my credit card. It appears that she is trying to book a vacation package in Cancun. She is willing to take me with her but I’ll have to ride in the cargo area with the other humans. Armageddon Storm Team reporting live from just west of Boston. It continues to snow and the piles in my driveway are taller than Kareem Abdul Jabbar. They are too high for Dwight Stones (high jumper) and too wide for Carl Lewis (long jumper). If they continue to get larger, Boston will change the bid and go for the winter Olympics instead. I’ll have a front yard view to the super giant slalom. We have no place to put the newly plowed snow in the driveway so we cleared the lighter, 3+ feet of snow in our front yard to make a large, open area. We found our wheel barrel and have been “trucking” the heavy, salted snow from the driveway to the yard. Fortunately that section of the yard is half weeds, so the salt shouldn’t matter. My hands are frozen despite wearing ski gloves. Time to use the Kelvin thermometer. I have to dig out the crampons and ice ax. The icicles hanging from the gutters are now large enough to climb. Watching a really proficient truck driver plow is a thing of beauty. What’s this? Just turned on the TV and regular programs are airing! The meteorologists are on “assignment” in Key West. The snow is so deep that our dog is teaching herself how to use the loo. Wish I had taken up fly-fishing. Hip waders would come in handy right about now. Call the police! The 5 feet tall wooden post fence in our back yard is missing! Never mind, it’s just buried under a drift. Santa just called. He wonders if it’s okay to move his operation here. Breaking news from the American Geological Institute. The earth has “rotated” and the 42.3 north longitude is now where the north pole used to be. Can’t wait to see the aurora borealis — that is, if we ever have clear skies again. Maple syrup should be very tasty this year. I’m going to find a bear den and try to hibernate for a while.